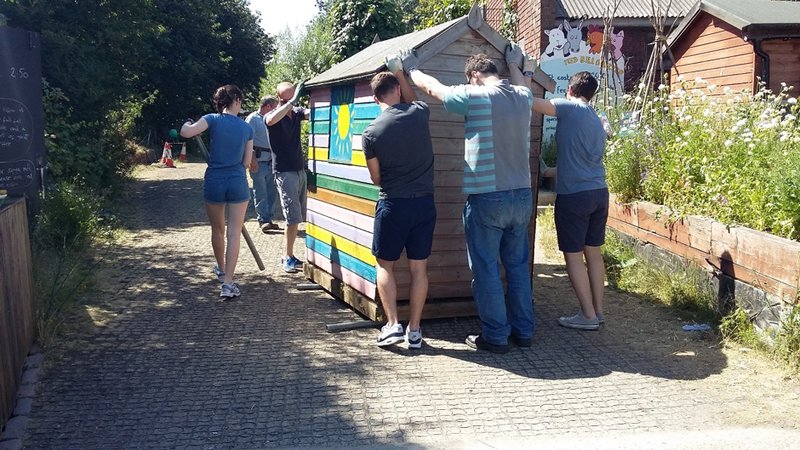 2017 was a busy year for our Corporate Team Challenges with 95 teams from companies across the city sending 1319 individuals who gave us over 6,000 hours of their time to help with the upkeep and maintenance of the Farm. They all leapt in with gusto with smiles on their faces come wind, rain or shine giving back to their local community and supporting all the work that we do. There was always work to do and Lutfun and Shaheda greatly appreciated all the help in the Coriander Club garden with people helping to sow seeds, plant crops, weed and harvest, clearing and preparing beds to help us provide fresh affordable food to the local population. 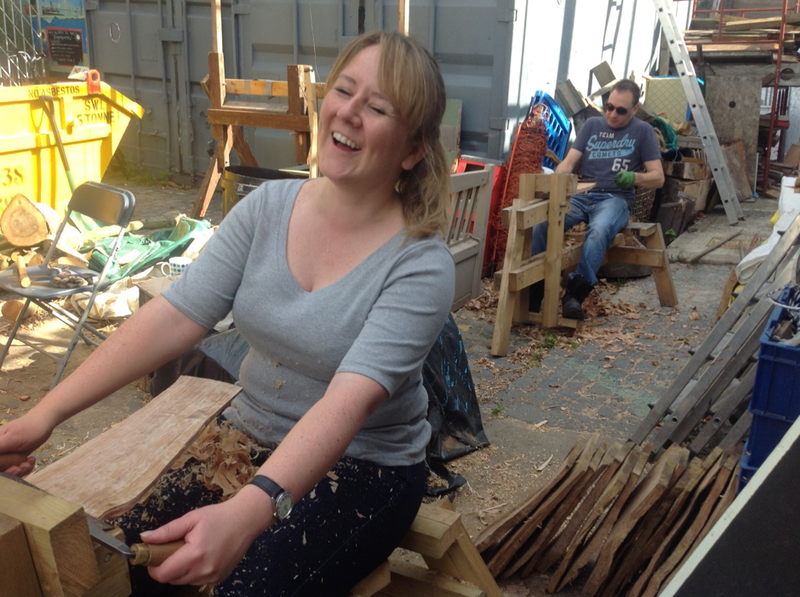 With all the animal enclosures, fences, sheds and beds wood preserving is like painting the Forth Bridge – there is always plenty of repairing, preparing and wood staining to do – when it’s not raining of course! Groups also learnt new skills and rediscovered old ones helping with the building of The Beautiful Shed. They laid the reclaimed floorboards, build the stud walls and attached the waney edge board cladding. The wheelchair access ramp and stairs were built to building regs by 3 consecutive teams each leaving detailed instructions for the next team – that’s team work! When the green Oak arrived they learnt how to split out shingles using Froes, axes and drawknives and started putting them up on the roof. They helped out with countless other tasks from fixing broken posts to harvesting plums, painting signs and putting up a new garden tool shed. 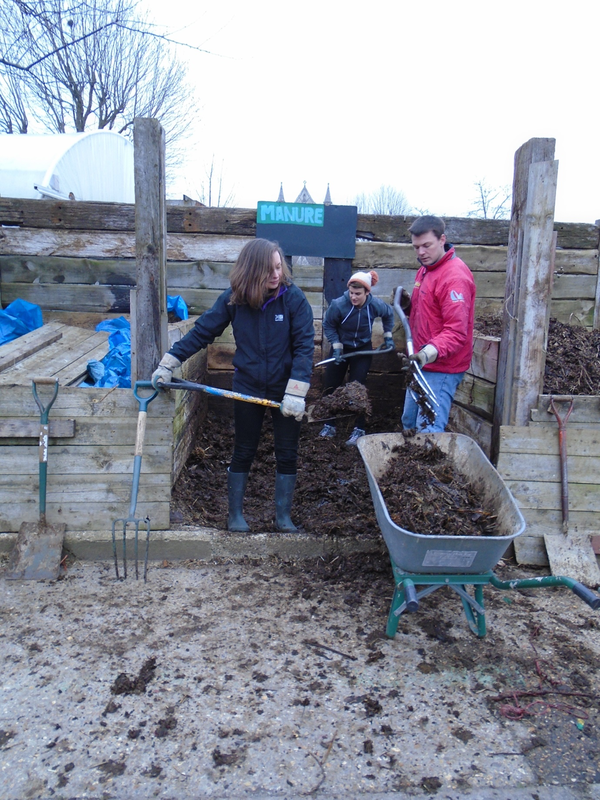 And of course there was always ‘Much heap Management’ – one of the most popular jobs because when you are used to shovelling manure all day it’s always satisfying to do it for real!